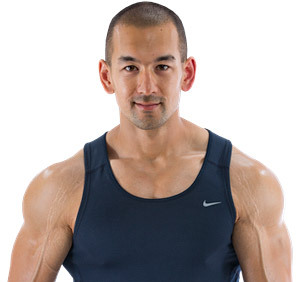 This is the basic, fundamental principle underlying the entire fat burning process, and it’s the ultimate bottom line that your cutting plan must be centered around if you want to see real results. In this post though, I’ll be explaining how the strategic use of a “refeed day” to intermittently go against this rule can actually assist you in your fat loss efforts over the long term. 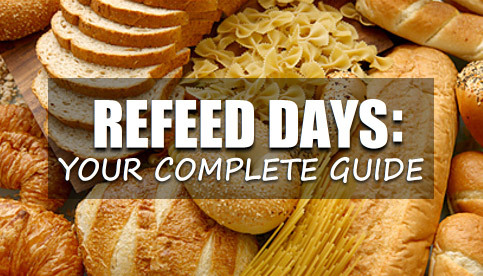 This guide will explain exactly what refeed days are, the potential benefits, who should use them, and how to structure them for the best results. Simply put, a refeed day is a planned increase in total calorie intake that is periodically inserted throughout your cutting phase. 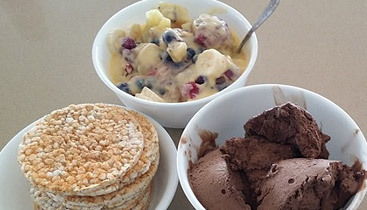 Unlike a typical “cheat day” that many dieters employ where they simply eat anything and everything they please without any real tracking in place (which can often be quite harmful if done to excess), a refeed day is a controlled increase in calories where macronutrients are still monitored and total food volume is kept within certain limits. What Are The Potential Benefits Of A Refeed Day? The use of a refeed day primarily revolves around normalizing levels of the hormone “leptin”, which plays a central role in regulating metabolic rate, hunger and energy among other things. The body is always fighting to maintain a balanced state of homeostasis, and as you continue to diet and maintain a calorie deficit over time, leptin levels gradually drop as a survival mechanism to spare fat. After all, your body doesn’t care about your aesthetic goals of having a lean six pack or striated shoulders, and fat is simply a stored form of energy that it ultimately wants to hold onto. The longer you’ve been dieting for and the lower your body fat levels drop, the further and further leptin levels continue to decrease. Along with that decrease in leptin comes several negative effects that every dieter wants to avoid, including a slow-down in overall metabolic rate (often referred to as “metabolic adaptation”), increase in appetite, decrease in strength and energy levels, and suppressed mood and motivation. Although all of these “dieting side effects” are normal to a certain degree and can’t be eliminated completely, strategic increases in calorie intake throughout your cutting phase can reduce their intensity by providing periodic boosts in leptin that have the opposite effect. This allows you to continue burning fat at an optimum rate, while at the same time improving how you feel both physically and psychologically. Now, it should be noted that the significance of a refeed day’s direct effects on metabolic rate are not fully established. Some argue that the increase is only modest/temporary and returns back to baseline as soon as the calorie deficit returns, while others who have struggled with an ongoing fat loss plateau swear by refeed days as a means of kick-starting the process again. 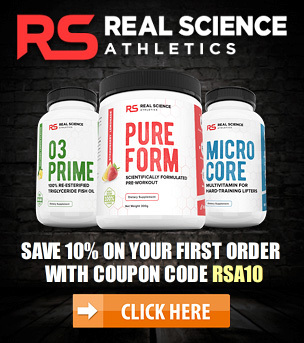 In any case, it certainly isn’t going to hurt you if done properly, and in my experience the physical and mental boost that a refeed day provides definitely makes them a worthwhile technique to utilize for a high percentage of people following a focused fat loss diet. There’s a quote that says “the best fat loss diet is the one you can stick to”, and refeed days definitely assist in this area by helping you adhere to your diet more closely over the long term. Since you’ll always have that upcoming day to look forward to where you can bump up your calories and enjoy certain foods you might otherwise typically limit (along with knowing that you’ll just plain feel better as well), the chances of unplanned binge eating are reduced and the overall process become more enjoyable overall. On top of this, a refeed day will also provide a small increase in glycogen levels (the stored form of carbohydrates in the muscles and liver that becomes depleted through dieting) for improved training performance over the following couple of days. Who Should Use Refeed Days, And How Often? 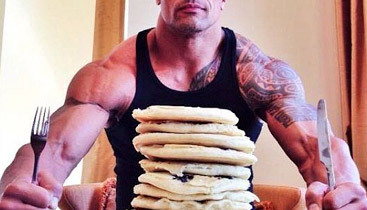 Optimal refeed day frequency will vary from person to person and depends on several factors. The leaner you are and the longer you’ve been in a calorie deficit, the more frequently you’ll likely want to refeed since the effects of the diet will be more severe on your body. On the other hand, beginners with higher body fat percentages who have not been dieting for very long will not need to refeed as often (if it all) in the beginning stages. As a general rule, employing a refeed day once every 1-2 weeks will work well for most people, and going with the higher or lower end of the range depending on your level of leanness, how long you’ve been on your diet, as well as how the diet is affecting you individually. Refeeds are not necessarily for everyone though, and if you’re consistently losing fat each week, you feel fine both physically and mentally, and you have no real desire to eat more food, then you can certainly skip over refeed days until you feel you need them later on. Side Note: If your primary goal is to build muscle and you’re currently eating in a calorie surplus, or if you’re simply just “maintaining” at the moment, refeed days are completely unnecessary and if anything would simply produce an increase in fat storage. How Should A Proper Refeed Day Be Structured? Proper refeed day does not need to be rocket-science, and my recommendation here is to keep things simple and to not unnecessarily over-complicate the process. The basic idea behind a proper refeed day is to simply employ a moderate increase in total calories, with the majority of that increase coming in the form of carbohydrates. Remember, the idea here is to increase leptin levels, and carbohydrate consumption is the most effective way of accomplishing this since fat and protein have a minimal impact on leptin secretion. Step #1 – Increase your total calorie intake back to your current estimated calorie maintenance level, which is the number of calories you require to maintain your body weight. 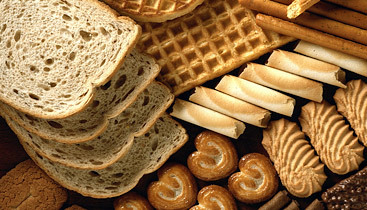 Step #2 – Translate that increase in calories to a gram amount of carbohydrates by simply dividing it by 4, since carbs contain 4 calories per gram. So, if you increased your calorie intake by 500 for your refeed day, you’d consume an additional 125 grams of carbs. You’ll likely notice a small gain in body weight immediately following your refeed, but don’t be alarmed as this is simply a result of the increased food volume, water retention and glycogen, and will subsequently decrease over the following day or two. 1) Incorporating refeed days into your fat loss plan is an effective way of alleviating the typical physical/mental energy drain that comes with dieting, along with improving long term dietary adherence and potentially producing a direct increase in metabolic rate over the long term. Even if the temporary increase in Ieptin does not significantly improve fat loss itself, the physical and psychological benefits of refeed days still make them a worthwhile technique to use for most people. 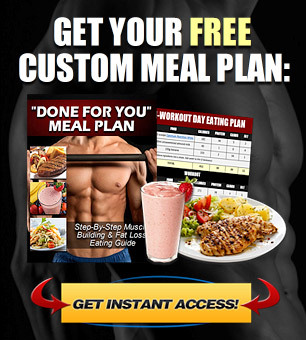 2) You can include a refeed day in your plan once every 1-2 weeks. The leaner you are and the longer you’ve been dieting for, the higher frequency you’ll generally want to use, and vice versa. 3) To structure a refeed day, simply increase your calories back up to maintenance level and assign those additional calories to carbohydrates. Protein and fat should be kept the same. I hope you found this refeed day guide useful, and if you have any questions feel free to leave them in the comments below.